The ALL BLACKS have won the 2011 Rugby World Cup, beating France in an incredibly tight Grand Final match by only one point, 8-7. 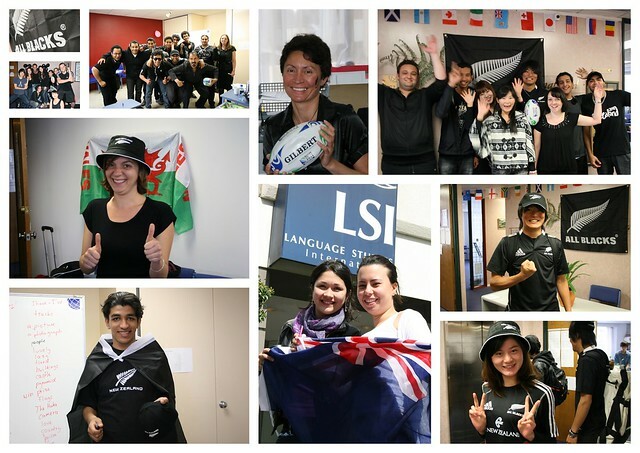 On Friday we had 'ALL BLACK Friday' at LSI in preparation for the big game. Everyone came to school dressed in their best All Black outfit. It was a great day and I´m sure it helped our team win on Sunday night. Congratulations to Sami, Yukimasa, Lauren and Daiana for being judged 'Best Dressed' All Blacks on the day. It was great that everyone got involved - its not every day that we get to host our own final of the Rugby World Cup right here in Auckland. See more photos from 'ALL BLACK Friday' here.